SOME unions and other stakeholders have aired varying opinions on the proposed increment of the Passengers Service Charge (PSC) collected by Federal Airports Authority of Nigeria (FAAN). Three aviation unions in the country have thrown their weight behind the proposed increment which was revealed in a daily last week quoting a reliable source and stating that with the new terminals coming on-line the PSC needed to be increased to start repaying the loan. However, diverging opinions are calling for caution before increment so as not to end up increasing the charges twice in a short time especially with the planned concession of airport terminals in the works. The current PSC charges was last increased in 2011 about eight years ago and the new PSC regime is expected to take effect from January 2019 according to reports filtering in. National president of the National Union of Air Transport Employees (NUATE) Comrade Ben Nnabue in his take said getting safety and efficiency are expensive to maintain and to do that FAAN must adjust its charges to survive. “Last 8 years you know the value of dollar to naira . You know the cost of generating electricity, you know the cost of diesel” He said . However, Group Captain John Ojikutu in his summations however said there should be no hurry in the PSC increment if the airports are eventually to be given out for concession. He argued that it would amount to double jeopardy after increasing only for concessioniares to come in and increase further. According to him, passenger traffic needs to increase in all airports so that revenue generated at high yielding airports are not used to subsidise low yielding airports. General secretary of National Union of Pensioners (NUP) FAAN Branch, Comrade Emeka Njoku backed the increment stating that the review was over due in view of the the various projects being executed by the agency. Comrade Njoku stated that acquisition and maintenance of current infrastructure at airports across the country was becoming increasingly difficulty stressing that the only way to survive was for FAAN to adjust upwards its charges to reflect the current value and cost of operation. Comrade Njoku called for the full commercialisation of FAAN to increase revenue points without any interference from any quarters in order to enable it render better service to the public. He disclosed that lack of funds was slowing down activities of the organisation saying that there were a lot of wage bills, maintenance of Airports and pensions. He remarked that airport concession was not the solution in FAAN but that the organisation should be allowed to get loan from the bank to develop airports across the country for better service. Saidu said the increment was justified after eight years of the last review stressing that things have changed in the last eight years. Saidu noted that inflation through these years has drastically affected the cost of doing business, “Airlines and other airport users have reviewed their charges severally within these period”. 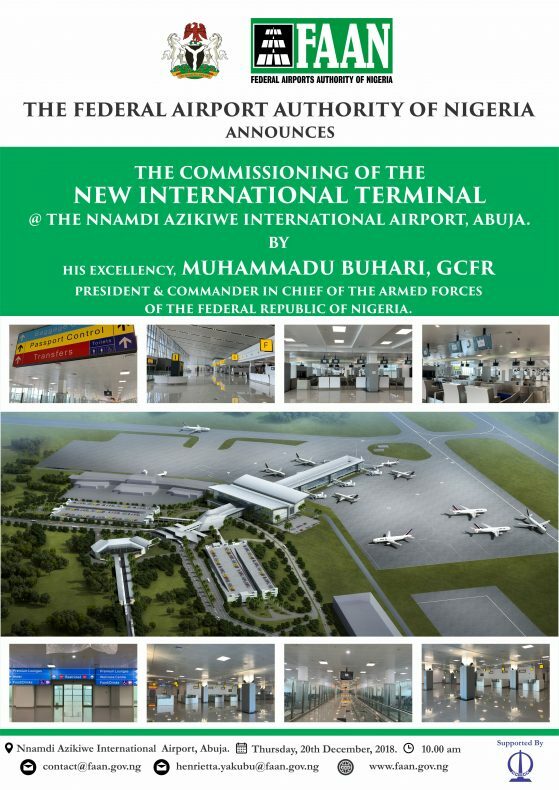 He said, “We have four new terminals built to international standards, the PSC tariff fixed eight years ago, will not be suitable for these new terminals owing to new technology, maintenance and other related costs”. He emphasised that passenger traffic has grown by more than 65 per cent between 2011 and 2019. The effect of this increased traffic on the airport facilities , needed to be taken into consideration. But expressed doubt that passengers traffic might drop if the PSC upward review was too high. Saidu noted that airlines might also be forced to increase airfare if the PSC was raised too high. 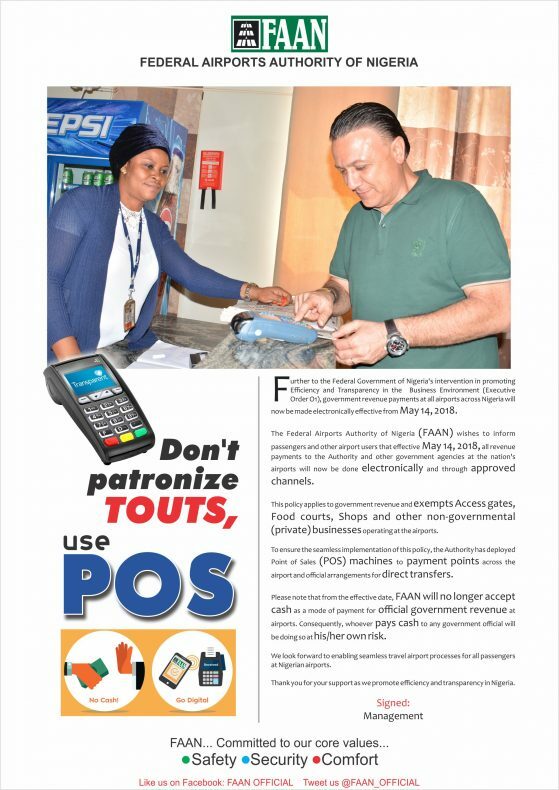 The PSC is collected by the airlines upon purchase of tickets and is paid to FAAN upon completion of the flight. The charges are used to cover the cost of maintaining common areas in the passenger terminals, providing passenger information, maintaining security and ensuring that customers can use the airport in comfort and with confidence.